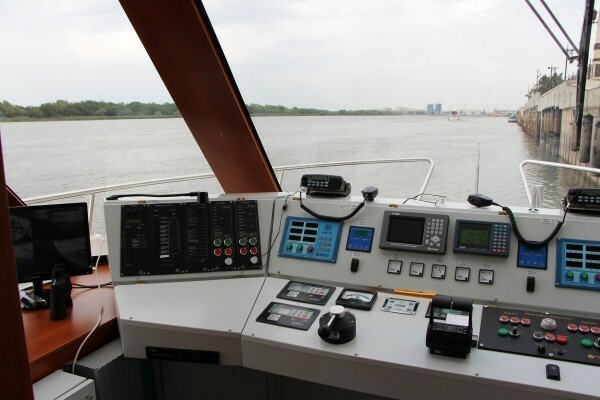 Astrakhan has welcomed the first river-going passenger ship designed and built specially for the Astrakhan Region, Trade Union of Manufacturing Industry says with the reference to the regional Ministry of Industry, Transport and Natural Resources. The vessel capable of carrying 141 passengers is fitted with all necessary rescue equipment, conditioning, heating and video monitoring systems. The vessel is ready to commence operations in the nearest time. “This ship, like the other two being built by Moscow Shipyard are to revive river transportation of passengers in the Astrakhan Region as an alternative of the automobile transport,” the statement says. The series of three passenger ships known as Astrakhanets is being built under the state programme on the comprehensive development of the Astrakhan water transport hub.